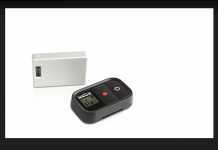 Home Adamgo HD Video Camera Delay with the GoPro WiFi BacPack? 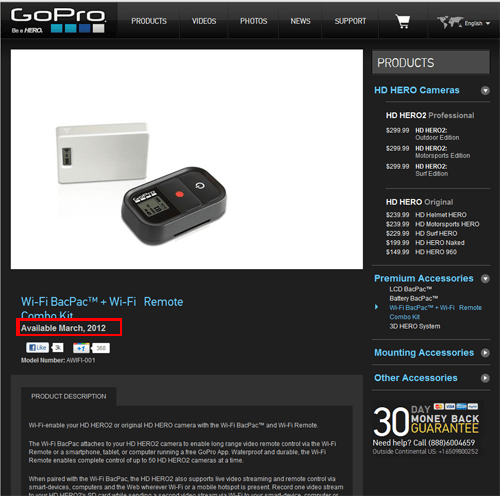 Is it just me or did GoPro decide to delay the release date of the wifi bacpack by a month? It seems like its official according to the GoPro website… I’m definitely seeing March not February anymore. Not clear to why the Wifi bacpack will be delayed but one thing for sure is that the availability date for the wifi bacpack on the GoPro website has changed. 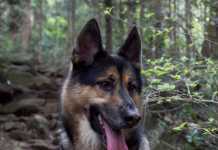 Yesterday(My bad about the small pic below! It was the only one I can get from Google Pages which still had a screenshot before GoPro changed the dates.) I just saw the page yesterday after making plans on buying it. I remembered seeing it available in February. However, when seeing it again today… It got bumped up to March!Today As you can see “Available March 2012”. 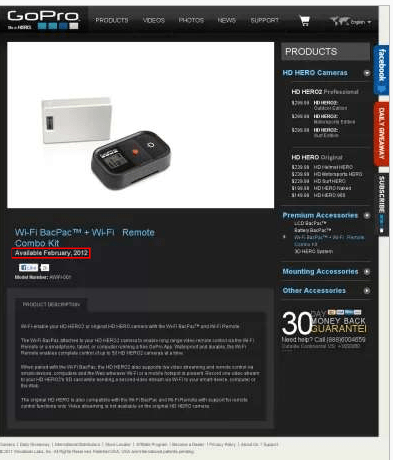 I guess we all have to wait a little bit for the wifi bacpack to be released.More Blogs about the GoPro HD CamWIFI BACPAC to be released in April! wanted to have the wifi this month because its the ebst time for snowboarding. they must have had a problem with supplies or whatever. but thanks for the blog. appreciate the bits of info.